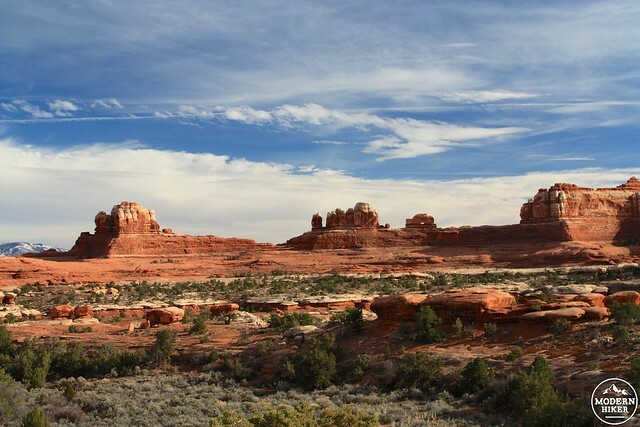 Just beyond the Needles District Visitor Center (open daily 8AM to 6PM but closed early December through February) is the Roadside Ruin Trail. It’s the first official trail in the National Park you’ll come across and – because it’s nice and easy – is a great place to get out of your car to give your legs a stretch before a longer trek. This trail starts – as its name would suggest – right by the side of the road. 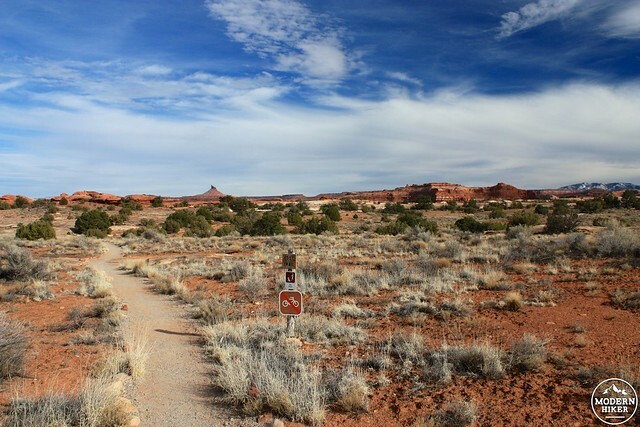 The trail meanders through some typical Colorado Plateau chaparral, with the beautiful canyonlands landscape surrounding you in every direction (and, if you’re lucky, the distant La Sal Mountains will have a little snow on them to help contrast the red dirt you’re walking on). The strange spire of Six-Shooter Peak looms in the distance. If this is your first trip in this part of the world, be prepared to stop and gawk a lot. This is the kind of rugged beauty that gets its way into your head and never leaves. 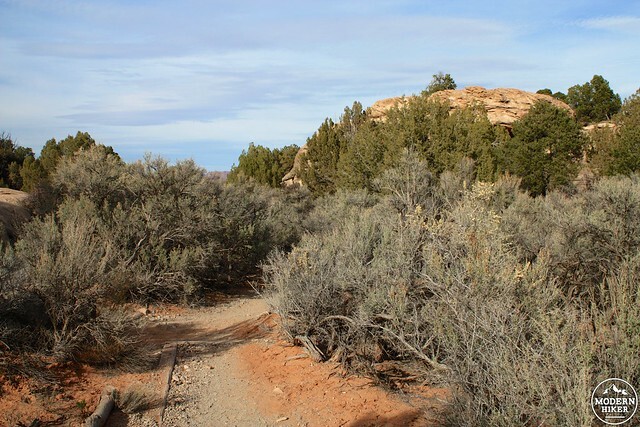 The trail itself is an easy affair, and in a matter of minutes you’ll find yourself approaching a small, nondescript mesa surrounded by sagebrush. As you get closer, however, you’ll notice a strange pile of stones wedged into a shady crevice. And as you get even closer, you’ll see it’s actually a masonry structure. This is one of the region’s many ancient granaries – used by various Native American cultures who cultivated corn, beans, and squash when the climate in the area was wetter. 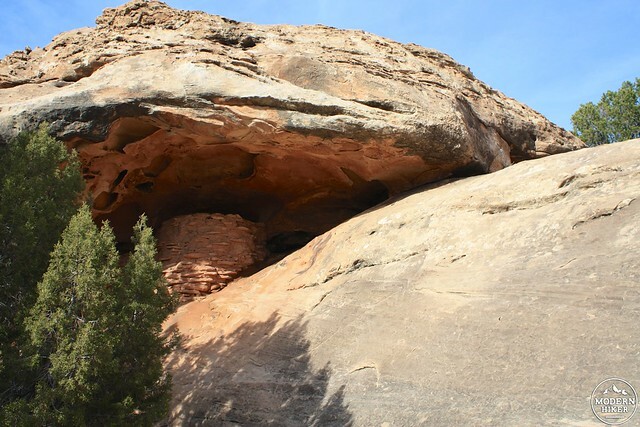 You can find these granaries and other evidence of the Puebloan societies all over the Canyonlands region, but this granary – built sometime between 1270 and 1295 CE – is particularly well-preserved (and is also unique in that it’s accessed via a door on top of the granary instead of the sides). 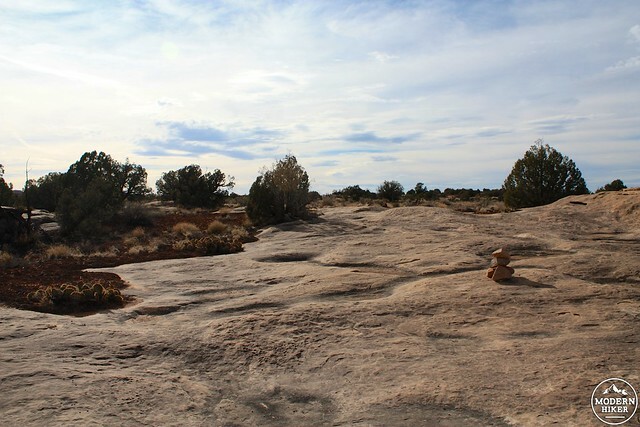 After the trail reaches the granary, it loops back around and traverses a short stretch of slickrock that provides more nice views of the surrounding region. Very good. This is a well-worn foot trail that's short and flat and almost always within view of the trailhead. 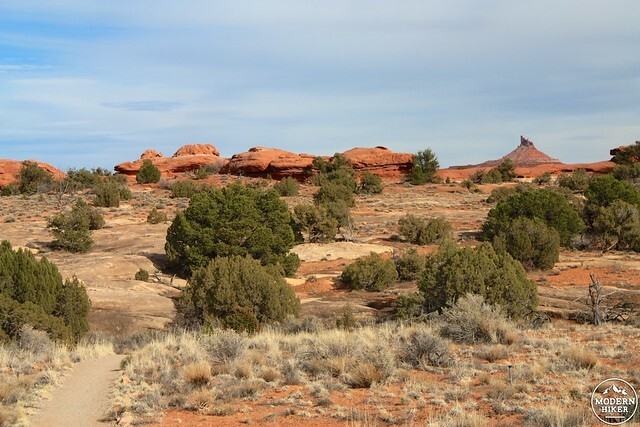 The Squaw Flat Campground is first-come, first-served and is a bit further inside the Needles District of Canyonlands (information is linked in the CAMPING button). 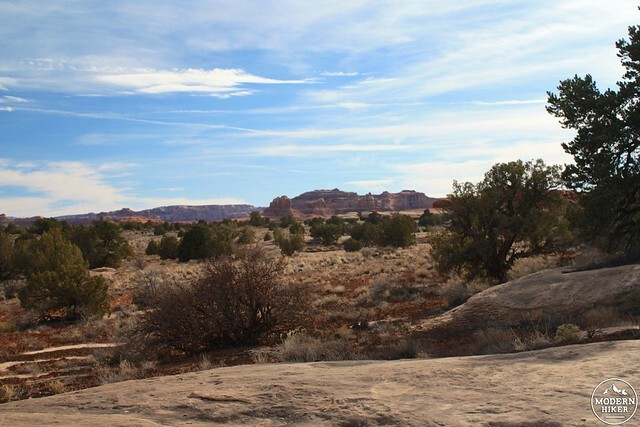 Additionally, there are several free BLM campgrounds east of the park and the privately owned Needles Outpost. When I was here I used the Needles Outpost as my home base and had a very pleasant experience, although a quick search on Yelp or TripAdvisor will give you some alternate opinions. 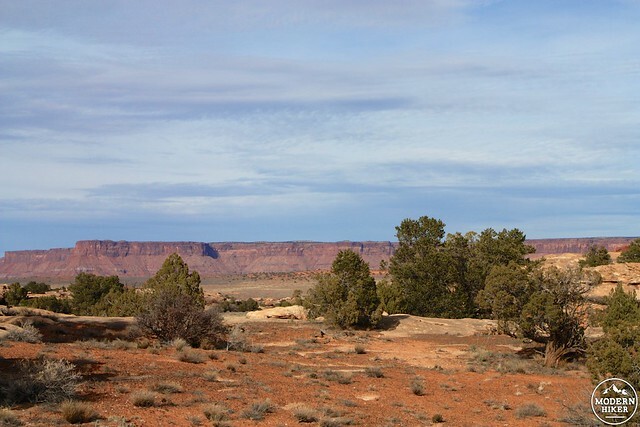 Needles is a very, very remote location. The closest town of note is Monticello, about an hour's drive away. From there, head north on US 191 for 14.4 miles, then take a left onto UT-211 West. Continue for 34.8 miles and look for the signs for Roadside Ruin on your left.